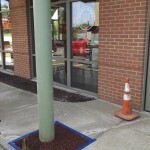 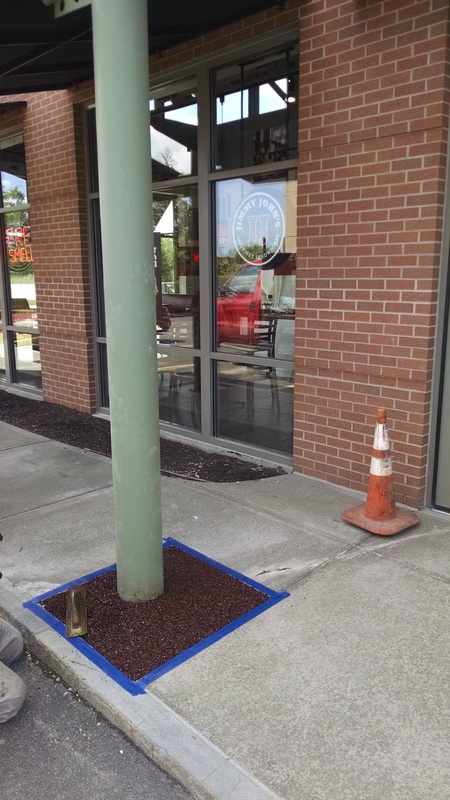 Jimmy Johns Flexi-Pave install- Cracked concrete from movement around these columns was replaced with Flexi-Pave. 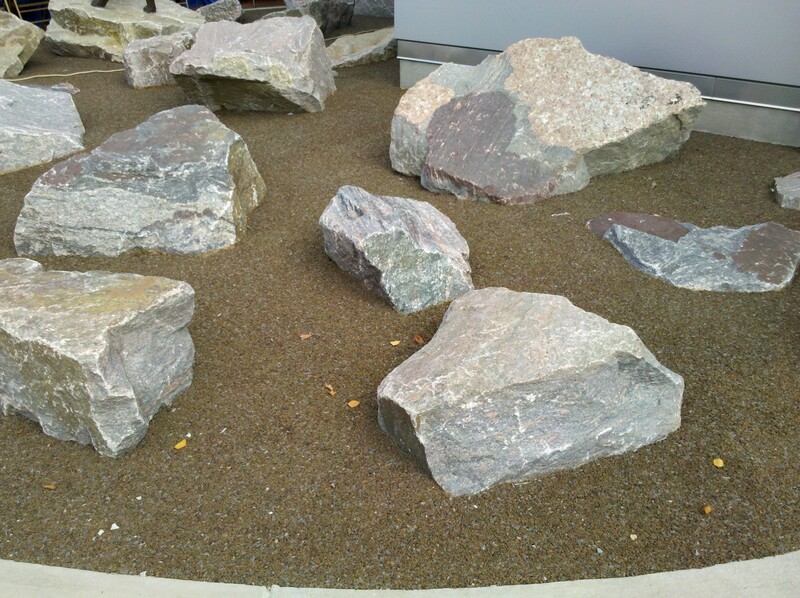 Rosamond Gifford Zoo- Originally constructed with stone dust it was soon realized that the Zoo needed something a little nicer to sit on. 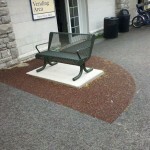 SUNY IT- The area was designed as a seating and decorative area. 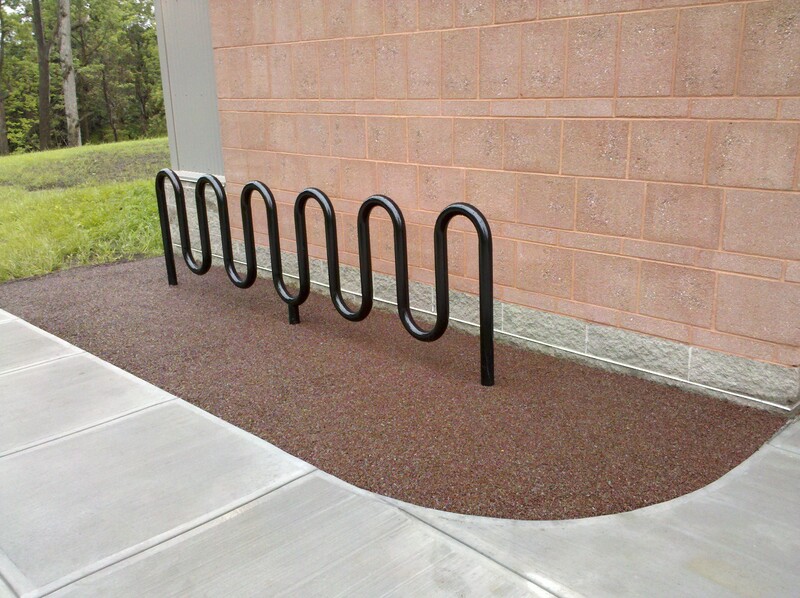 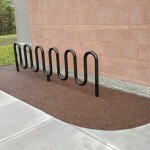 SUNY ESF- Porous Flexi-Pave accents the bike racks. 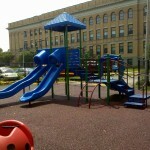 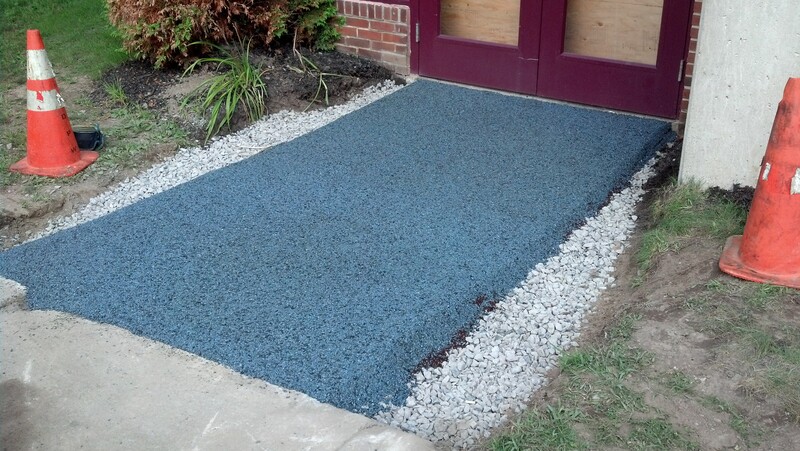 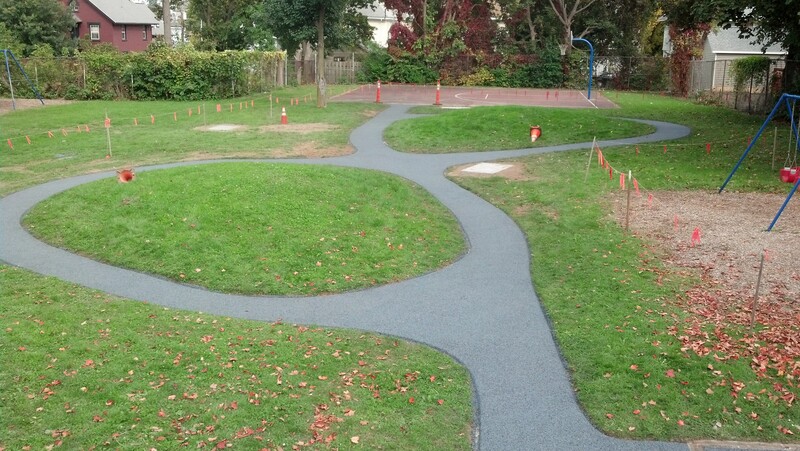 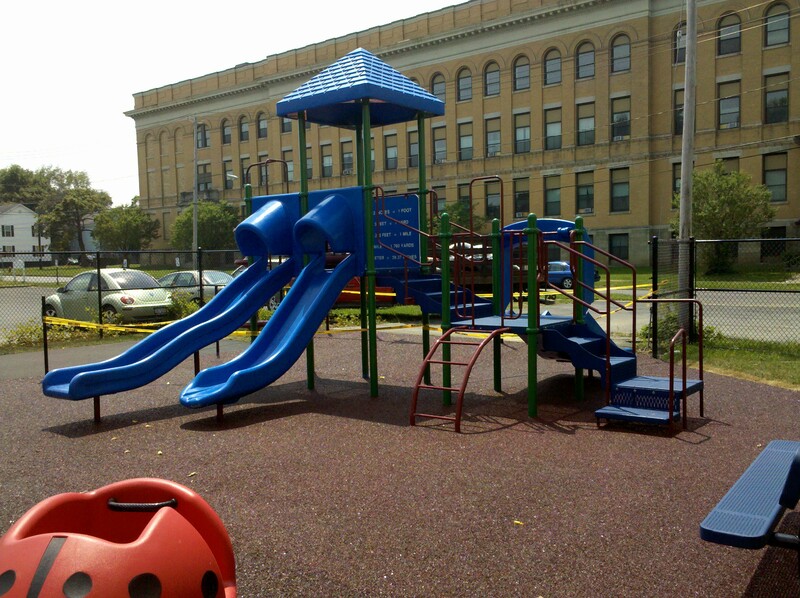 Utica, NY- Installed at a neighborhood apartment complex the Flexi-Pave is porous and soft allowing for safe play. 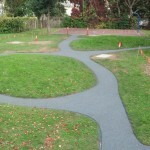 City of Auburn- A small path meanders around this park located in Auburn, NY. 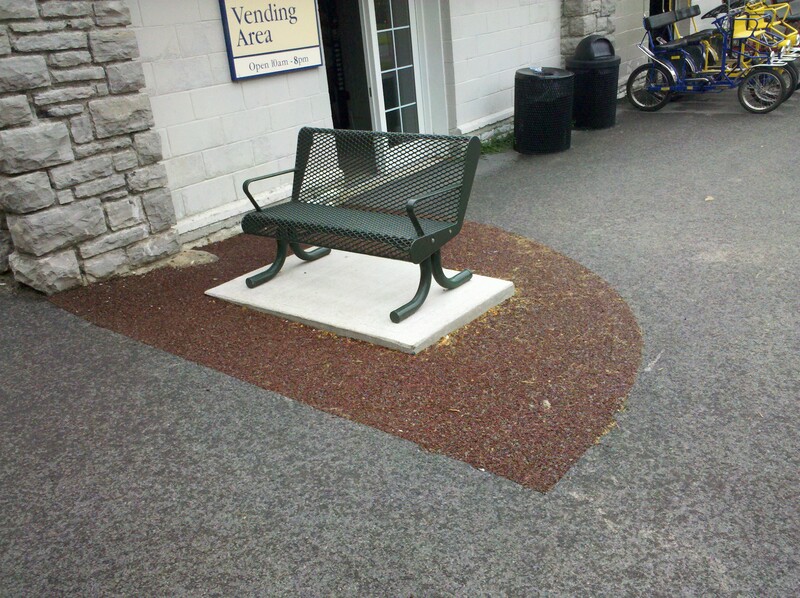 Onondaga Lake Park- Flexi-Pave is great for patching in around other surfaces while also returning stormwater back into the ground. 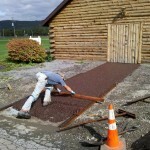 Auburn, NY- The city was looking for a quick and effective way to mitigate the puddles that formed at this entrance. 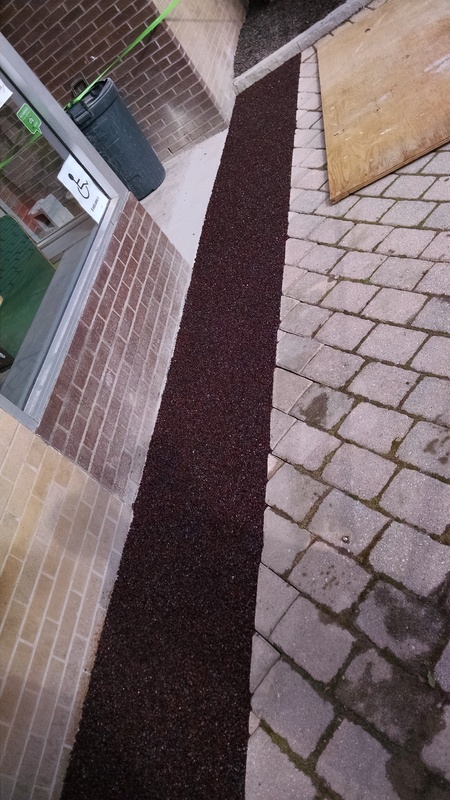 The puddles caused wet feet and slippery conditions in the winter, solved with Flexi-Pave. 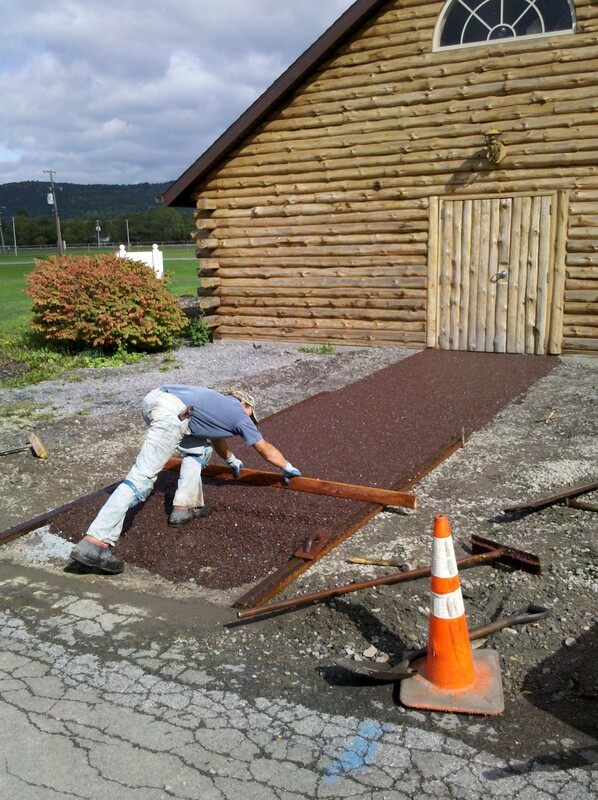 Chemung County Fair- We installed a beautiful and functional entrance to the DEC cabin at the fairgrounds. 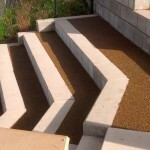 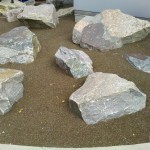 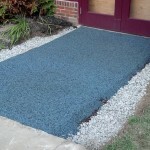 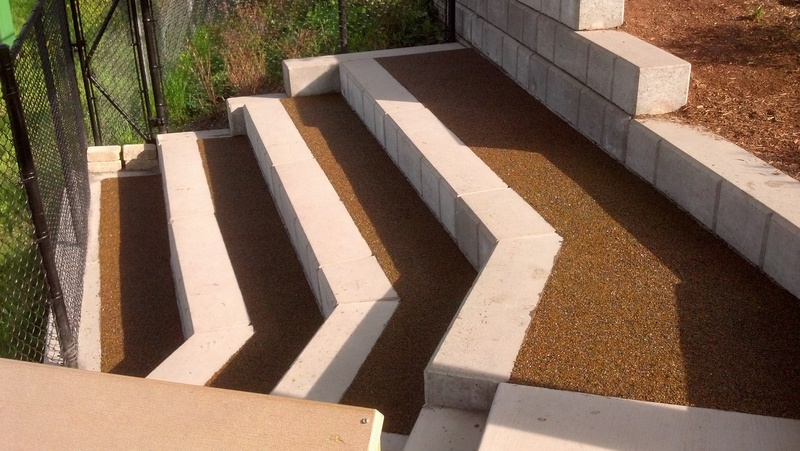 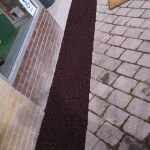 Flexi-Pave comes in a multitude of colors to accent your project. 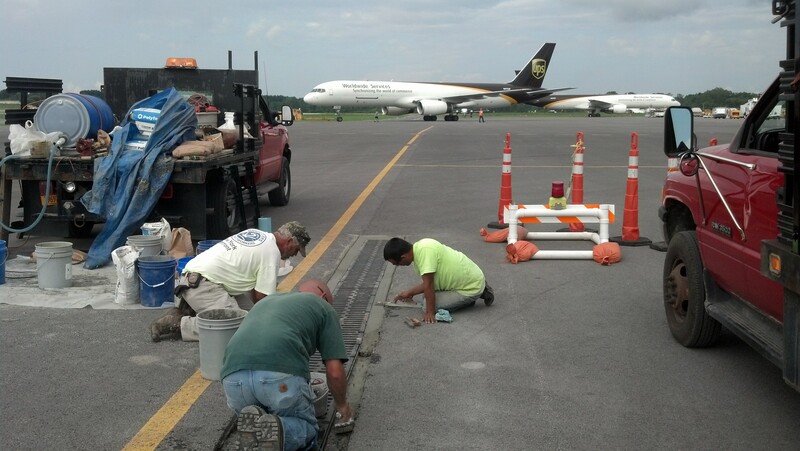 Syracuse Airport- We are used to the more difficult or unusual, but working just off the runway at the airport will top most. 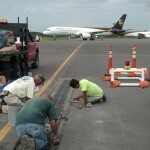 We were hired to chip and replace the frame around the deicing drain.